Use the DATA’s scope to view the interactions between your control voltages and audio signals, allowing you to master your modules by understanding their voltage ranges, control shapes, and parameter responses. Use the DATA’s dual waveform generator to dial in a precisely scaled LFO for CV control, or use the waveform’s frequency “note mode” to effortlessly make dyads (two note chords). 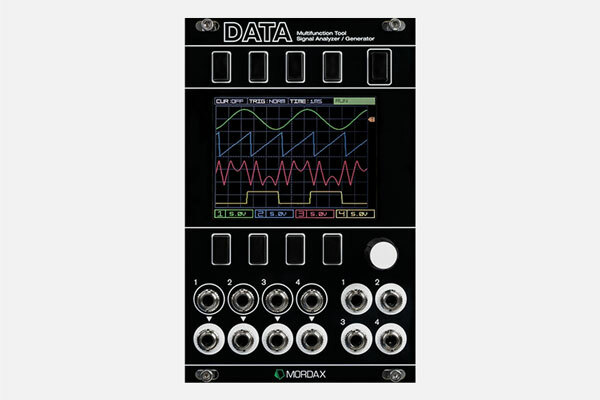 Use the DATA’s clock program as a master clock or to divide or multiply an incoming clock signal, sending four different clock outs to gate modules directly or as control to sequencers.